If the exterior of your home hasn’t been painted since you’ve moved in, there is a good chance that your home could use a fresh coat of paint. 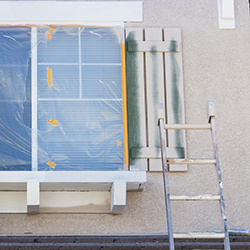 In fact, as a general rule of thumb, your home’s exterior should be painted every three to seven years, depending on the area in which you live. However, you may not know where to begin if you’ve never painted your home before, which can lead to undue stress on your behalf. Fortunately, there are many painting companies that can help to resolve your worries with the help of trained professionals. If you are located in Bakersfield and you are in need of the top painting contractors in your area, look no further than Steve Holloway Painting. With services ranging from high-quality power washing to deck painting and staining, you can rest easy knowing that our professional painters are committed to exceeding your needs. 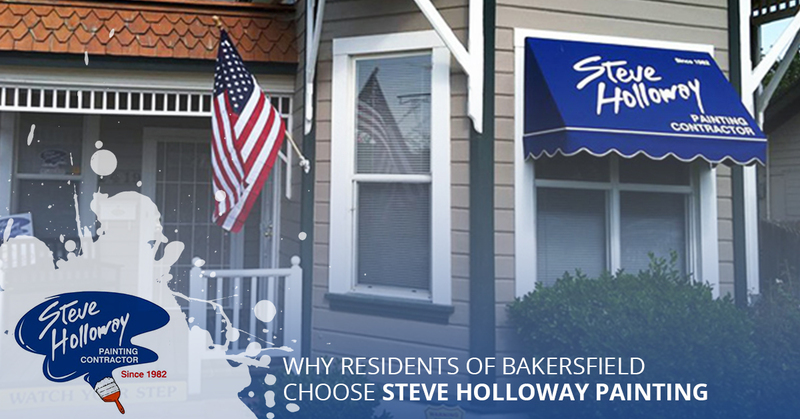 To learn why individuals throughout the Bakersfield area choose Steve Holloway Painting, continue reading more on the subject below. When it comes time to repaint the interior or exterior of your home, you want to receive help from qualified and knowledgeable professionals. Making a hasty decision to paint your home by yourself could leave you with a less than desirable end result, costing you time and money that would have been better spent on professional painting services. At Steve Holloway Painting, we know that no two homes are alike, which is why we work hand-in-hand with all of our customers to produce breathtaking outcomes that leave our customers speechless. If you are interested in receiving your free project estimate, simply visit our website today to learn more! Your business’s exterior says more about your company than you think. 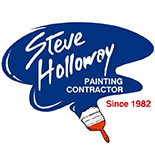 If the paint on your business is beginning to show signs of wear, or is fading at an exponential rate, it may be time to call the experts at Steve Holloway Painting. We have experience in completing countless commercial painting projects, and can’t wait to bring your business’s building to life with a fresh set of paint. Before beginning all painting projects, we take great care to ensure that your building’s fixtures, windows, flooring, and furniture are protected from paint, so that your facility can return to its original state once we have finished painting. 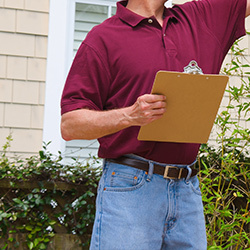 With daily cleanup and extensive warranties on all exterior painting projects, we remain devoted to providing our customers with the peace of mind that they deserve. 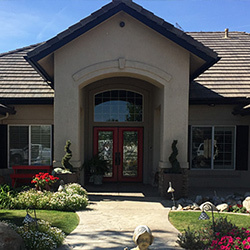 If you are interested in learning how we can help you give your home or business that additional level of flair that it has been missing, get in touch with Bakersfield’s painting experts at Steve Holloway Painting! We know that you will be pleased with all that our painting contractor company has to offer, and we urge all prospective customers to view our gallery of completed painting projects to get a better idea of our commitment to quality. Contact us today to learn more!